New shoes, pants and shirt. Its on again! I need to hike 100+ miles to hwy 58 where I hitch a ride to the town of Mojave. Most of that is open desert with no water. Luckily the weather is cool, (20% Chance of rain tonight!) because normally it’s hotter than hades and people are forced to hike at night. The rest of the week is in the 70s, which is still nice. More when i get cell svc again or arrive in Mojave. Hi Michael. I will be retiring in one year and, like you, will immediately set off for an adventure. Have been day hiking on the Appalachian Trail for a while now. Looking very closely at hiking the Colorado Trail for that first adventure next summer. The CT takes from 4 to 6 weeks to hike. I am in the research and planning stage now. 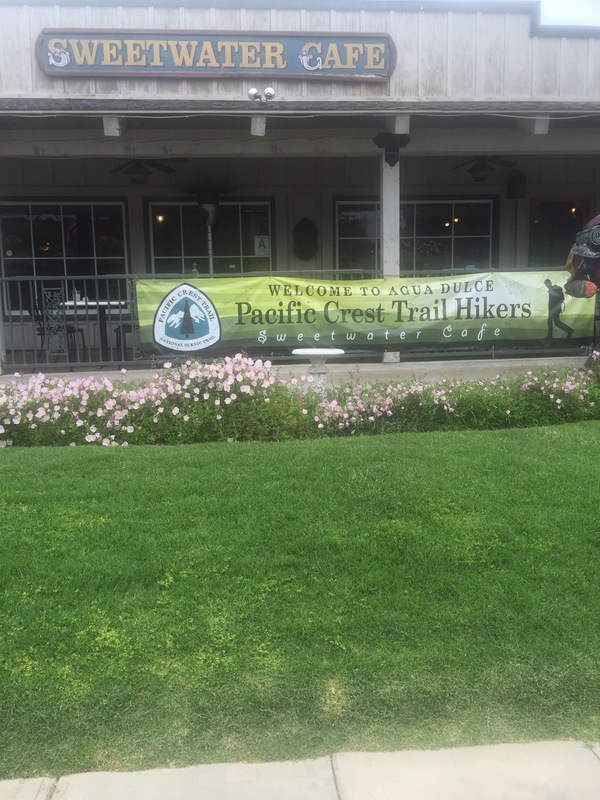 As I was looking at trails within the US, I found the PCT website and then your journal. It is wonderful! It has been great to get a sense of that part of the country through your photographs and I’ve gleaned a great deal from your notes on equipment and preparation. I’ve gotten so interested in the PCT that I am reading Yogi’s book. Thank you for taking us along. Please keep up the great job. You have a nice approach to sharing each leg of your hike and a good sense of humor. Thank you and good luck on your travels! I look forward to reading your almost daily reports and photos. I am enjoying your adventure, you got this!! Take care and be safe!